ONE OWNER - 4X4 - HANDS FREE PHONE - BACK-UP CAMERA - ALL CARS SERVICED - REMAINDER OF FACTORY WARRANTY - THE BEST CAR BUYINGEXPERIENCE IN TOWN !!! CALL 913-236-1000 AFTER HOURS CALL STEVE AT 816-516-2641. OPEN 7 DAYS A WEEK.FINANCING AVAILABLE AT GREAT RATES WITH APPROVED CREDIT. VISIT OUR WEBSITE AT www.allstarautollc.com Visit All Star Auto llc online at www.usedcarsmerriamks.com to see more pictures of this vehicle or call us at 913-236-1000 today to schedule your test drive. 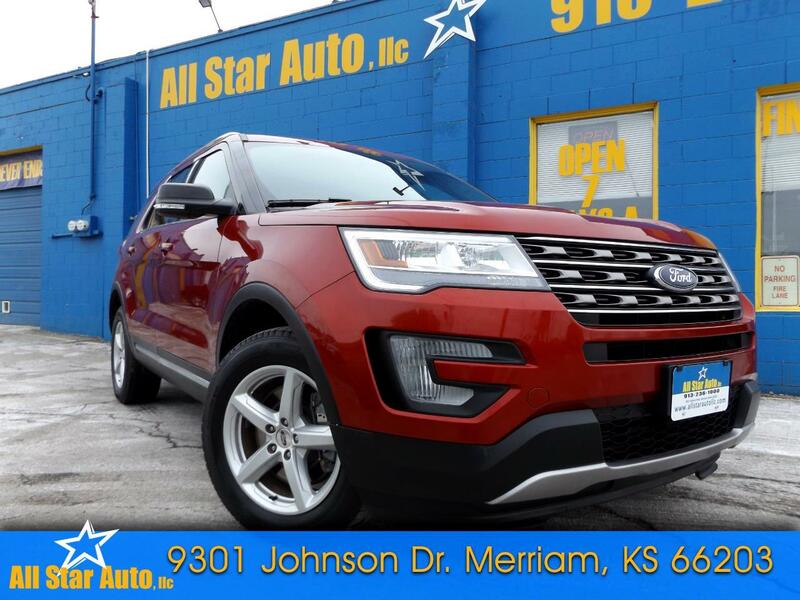 Visit All Star Auto llc online at www.usedcarsmerriamks.com to see more pictures of this vehicle or call us at 913-236-1000 today to schedule your test drive. Message: Thought you might be interested in this 2017 Ford Explorer. WE AIM TO HAVE ALL DETAILS CORRECT, HOWEVER MISTAKES CAN HAPPEN. PLEASE VERIFY ALL DETAILS ABOUT THE VEHICLE BEFORE YOU PURCHASE ONE.